After coming through the Spring with his track ‘I Just Can’t’ feat. 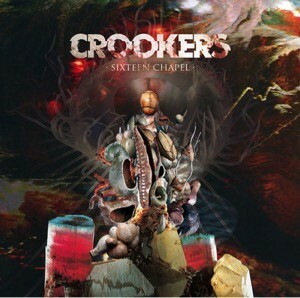 Jeremih, Dim Mak recently released Crookers’ (aka Phra) new artist album ‘Sixteen Chapel’. The album includes 12 tracks and features collaborations with TJR, Zombie Nation, Antwon, STS and more. It’s a glitchy, fidgety electro house soundtrack with sprinkles of hip hop and R&B. Supported by the likes of Jack Ü, Oliver Heldens, Martin Garrix, Pete Tong, Laidback Luke, Annie Mac, SBCR aka the Bloody Beetroots and Dim Mak’s own Steve Aoki, among others, lead single ‘I Just Can’t’ feat. Jeremih, is a biggie with a music video that was originally premiered by Pitchfork TV. Watch here as four couples' lives intersect at a surreal existential crossroad, where honour, rage, love and greed all end up being different sides of the same coin. Achieving his first major success in 2008, Crookers’ remix of Kid Cudi’s ‘Day ‘N Nite’ reached top 20 in 21 countries, top five in six different countries, and twice platinum in the United States. 2010 saw the release of his debut album ‘Tons of Friends’, which featured a lineup that included the likes of Miike Snow, Pitbull and Major Lazer. The 2011 follow up, ‘Dr. Gonzo’, proved to be another step forward for Phra, as he once again showcased his ability to produce club beats without compromising his originality. Have a listen to the album below.